If you're looking for a fun but practical storage solution for kid's rooms then we think we might have just found the perfect thing! 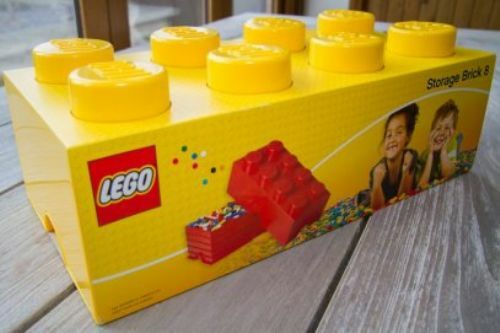 This Lego storage box (available in a range of sizes and colours) is perfect for those with a few too many things, will make clean up time a bit more fun, and be an ideal addition to kids bedrooms, playrooms and over-crowded lounges! Blocks are stackable so why not buy a few and build an entire Lego wall!